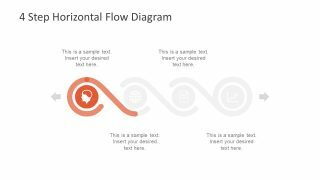 The timeline design 4 Step Horizontal Flow Diagram for PowerPoint is a set creative infographic. The template is suitable for presenting strategies, schedules, processes as well as the chronological timelines and roadmap. 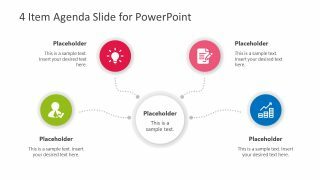 Therefore, the professional managers and business leaders of every industry can take the advantage from this PowerPoint template. 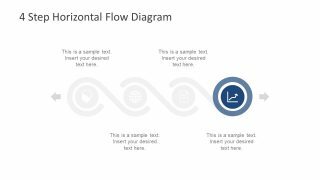 This is the horizontal process flow diagram template containing circular infographics. 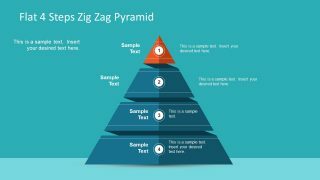 Each infographic can represent various terms of the 4 step model or a concept diagram. For example, the human head silhouette icons can depict the work force. Whereas, the globe symbol shows the world wide implementation of idea. 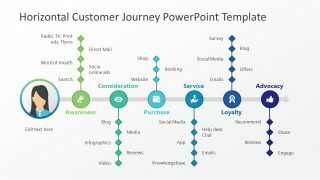 The timeline of PowerPoint diagram and a process flow helps the presenter to ensure the tracking of goals in schedule. Additionally, the graphical content of presentation is a visual aid for as audience for the lasting impact. 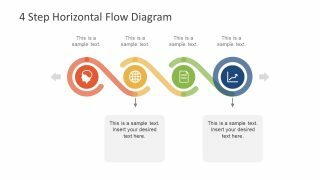 The 4 Step Horizontal Flow Diagram for PowerPoint is a perfect toolkit for process and timeline presentations. It is a fully customizable template providing the features to fit any presentation purpose and need. For instance, the user can add textual content in placeholder to present as key process or display month/year as milestones. 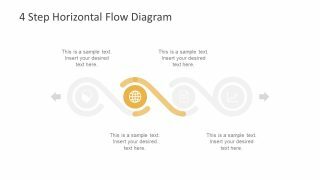 This horizontal flow 4 step diagram template is a 6 slide PowerPoint. It assists the viewers to focus on each segment of process flow individually by highlight one per slide. Also, the colors of infographic segments are editable. Hence, the users can select a desire set of pallets from shape fill colors. 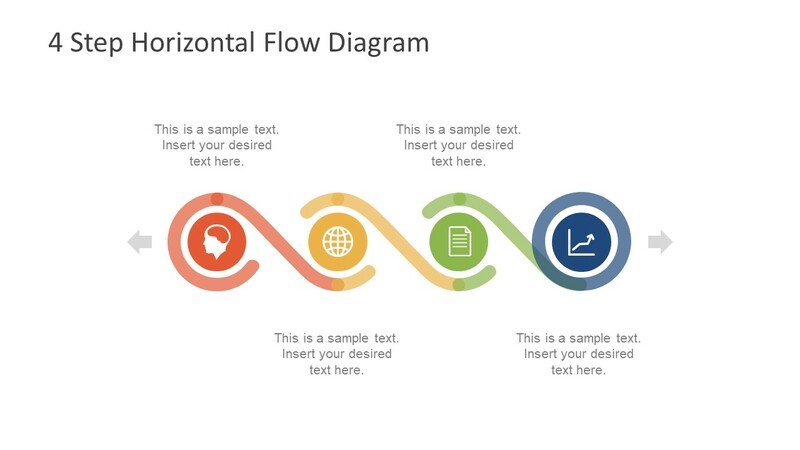 The horizontal flow diagram of PowerPoint has amazing timeline infographics with a professional design of a template. The 4 step PowerPoint diagram is a brilliant way to illustrate chronological order of events, trends and workflow charts. 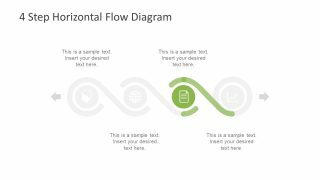 The SlideModel’s diagram category has more versions of this timeline template diagram such as, 7 step horizontal flow. 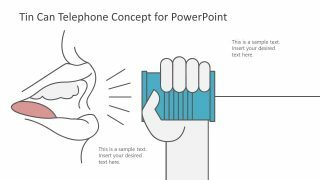 These versatile presentation templates demonstrate essential information through awesome infographics.